Days 30 & 31: Two Red-Eye Flights and I am Home! Day 30: Fullers Auckland Harbor Cruise! Day 30: Visit Auckland’s Sky Tower, What a View! Day 29: Play Royal Auckland Golf Club! Day 28: Play Wairakei International Golf Course! 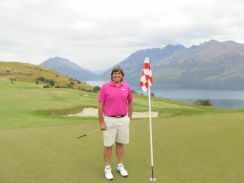 Day 27: Play The Kinloch Club in New Zealand! Day 26: Stay at The Dunalistair House, Golf Central for Golfers in New Zealand! Day 25: Hammonds’ Wellington City Sights & Coastline Tour! NZ Day 21: A Waipu Welcome to People & Golf in New Zealand! Day 21: Play Waitangi Golf Club, Bay of Islands, New Zealand! 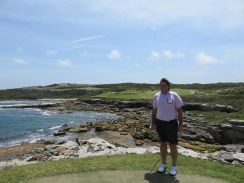 Day 20: Play Kauri Cliffs Golf Course, Matauri Bay, New Zealand! Day 19: Play Muriwai Golf Links, A True Links Course! Day 19: City Tour of Auckland with GRAY LINE TOURS! Day 18: Play Titirangi Golf Club, New Zealand’s Only MacKenzie Design! Day 17: Fly from Queenstown to Auckland, Begin North Island Odyssey! Day 16: Couldn’t Resist, Played Jack’s Point again to start the New Year! Day 15: Happy New Year 18 Hours Early from Queenstown, New Zealand! Day 15: A Real Journey aboard the TSS Earnslaw on Lake Wakatupi! Day 14: Real Journey to Milford Sound in Fiordland National Park! 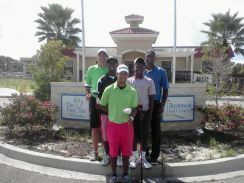 Day 13: Play The Hills, Michael Hill’s Championship Course! Day 12: Drive to Queenstown via Dunedin! Day 11: Play Christchurch Golf Club, a.k.a. Shirley! Day 11: Christchurch Rebuild Tour by Red Bus! Day 10: Hassle-free Tour of Christchurch, New Zealand! Day 9: Merry Christmas from Christchurch, New Zealand! Day 8: Drive Back to Christchurch, Play Clearwater Golf Club! Day 7: Stay at Stone Aerie in Marlborough, New Zealand! 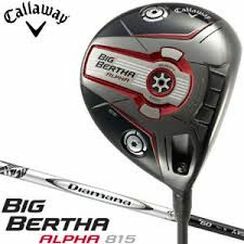 Day 6: Play Marlborough Golf Club in Fairhall, Blenheim, New Zealand! Day 5: Drive from Christchurch to Marlborough, New Zealand! Day 4: Drive from Queenstown to Christchurch in New Zealand! Day 3: Stay at the Millbrook Resort in Arrowtown, New Zealand! Day 3: Play Millbrook Golf Resort in Arrowtown, New Zealand! Shammi Sandhu & The Mantra Indian Restaurant in Arrowtown! Day 2: Stay at the Hilton Queenstown in New Zealand! Day 2: Play Jack’s Point In Queenstown, New Zealand! Day 1: Arrived in Queenstown, New Zealand on the South Island!